Baltimore’s food and drink are considered one of the country’s best. This is true for a lot of tourists flock the country all year round, and Baltimore’s unique and delicious food is at the top of their reasons as to why they keep coming back to the city. There is something to the taste of Baltimore foods and drinks that people fell in love with it, as seen on several restaurants in the city. As proof of Baltimore’s exquisite dining experience, Christina Tkacik has compiled the list of the most essential food and drink experiences in 2019. Browse some of the lists below. A sip of coffee from a demitasse cup at an Ellicott City cafe can transport its drinker to Damascus. A fried coddie, served with a saltine cracker and mustard, reminds its eater of visits to Lexington Market. A cannoli shop in Little Italy manages to feel like home for first-time customers. 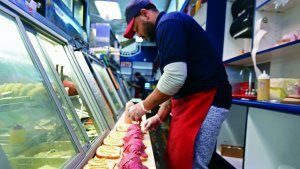 One of downtown’s last remaining Jewish delis, Attman’s still draws lines of patrons hungry for the melt-in-your-mouth corned beef served since 1915. Most customers come in for a sandwich to take away or to eat in the dining area, called the Kibitz Room. Chef Gerard Billebault grew up in Paris — in the same neighborhood singer Edith Piaf hails from — and worked in his father’s bakery before going to cooking school. He and his wife opened their Baltimore cafe in 1998; it’s become a destination for area Francophiles and sweet teeth. But not too sweet: Customers note that Billebault’s pastries aren’t as sickly sweet as those available in supermarkets. Today, Billebault’s purple bakery is a Falls Road landmark. Inside, it’s a cheerful cafe with some of the best Parisian pastries you’ll find in Baltimore. Try the flaky almond croissant, topped with a generous heap of almonds and powdered sugar. Paired with a perfect cup of coffee, it’s best enjoyed during a quiet petit déjeuner at one of the cafe’s tables. The 35,000-square-foot warehouse in Cockeysville features mostly Amish vendors and draws thousands of customers Thursdays, Fridays and Saturdays to the only such operation in Baltimore County. Regulars mention two features that keep them coming back: a broad selection of quality goods that can be hard to find anywhere else, let alone under one roof, and a reliably family friendly atmosphere. Try the whoopie pie, which is like a big, homemade version of an Oreo — white fluffy filling between two chocolate cookies — from Aunt Erma’s Bakery stand. It is practically a long list that features the best restaurants in the entire Baltimore. WHat’s even more amazing is that there is a wide selection of choices; from seafood restaurants, desserts, pizza parlor, coffee shops and more. When you visit the Charm City especially for the first time, you must look for some or a couple of these restaurants. Carley Milligan in her article at Bizjournals mentioned about the city of Baltimore being included in the list of top 10 U.S. foodie cities by Yelp. Check out the article below. Baltimore has been named among the top U.S. destinations for food lovers in a new list by Yelp. Charm City ranks No. 9 out of 10 by the reviews website, landing on a list among cities well-known for their cuisine such as San Diego, Las Vegas and Austin, Texas. The new “top foodie cities” list was ranked by Yelp data scientists who compared cities’ new restaurants, ratings, reviews, cuisine diversity and percentage of food photos. 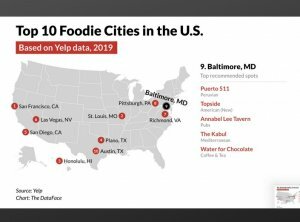 Yelp also mentioned dishes at two city restaurants as “must try” options for anyone dining out in Baltimore: the sweet potato polenta at Water for Chocolate in Upper Fells Point and the buffalo mushroom wrap at Annabel Lee Tavern in Canton. It’s really refreshing to see the city of Baltimore to be included in the lest of best foodie cities in the entire country. There are only a few of them and Charm City being part of it is such a great feat. Dubbed as the world’s crab capital, Baltimore’s famous crab cakes, and old bay seasoning is definitely world class. If you’re looking for more of a much greater food and drink in Baltimore, Jess Mayhugh of Thrillist listed more of the city’s food and drinks every tourist will surely love. Baltimore natives — myself included — are used to being told it’s just a stopover city, a place to pass through on the way from DC to New York. And, sometimes, we relish in that. We have so many well-kept secrets here that, often, it’s nice to enjoy them for ourselves, while our public image remains a smattering of John Waters’ antics and The Wire reruns. But, we’ve come to a boiling point, it seems, where even we can no longer keep the lid on the great places our city has to offer. Of course, we have James Beard-nominated chefs and one of Esquire magazine’s favorite bars, but if you dig a little deeper, there are tons of other innovative restaurants (many the size of a tiny rowhouse), bona fide cocktail bars and craft breweries, and, yes, bushels of local seafood to sample — though we show you that crabs aren’t the only Chesapeake Bay creature worth consuming. So, next time you’re road tripping on I-95 and you spot the neon, winking Natty Boh sign from the highway, consider a slight detour. In Northeast Baltimore, on an unassuming corner of Harford Road in Lauraville, you’ll find Maggie’s Farm. The red-hued bistro features upscale, comfort-y starters like farmstead cheese plates and a fried green tomato & soft-shell crab dish, plus half-entrees and a “dirty hipster burger” with less dirty, but no doubt hipster toppings like kale slaw, bone marrow jam, and a fried egg. The intimate space used to be a home for underground punk shows, but it now houses Bottega, a tiny (we’re talking 15-seat) BYOB restaurant in Station North. The Tuscan-influenced menu changes daily, but the last time we were in, owner Adrian Aeschilman informed us they just got a hog, which meant stellar pork cheek with parsnip and rapini hash, alongside mushroom and chèvre crostini, and pappardelle Bolognese. 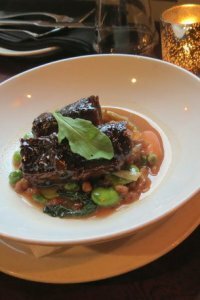 The abovementioned restaurants are among the best places where locals spend the weekends, to hang out with their friends or just spending quality time with family and friends. When it comes to food and drink places, Baltimore has definitely lots to offer to locals and tourists. That’s why a lot of tourists fell in love with the city as they keep coming back to taste the Baltimore flavor. To know more about Baltimore and its sumptuous dishes, visit https://www.dependablehomebuyers.com/maryland/baltimore/.